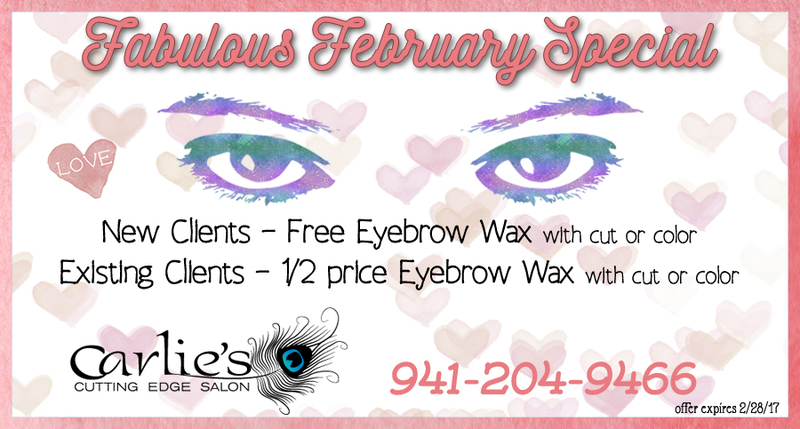 We have a Fabulous February Special for you! Call us NOW to schedule your appointment. We are a full service Salon located at 3505 Bobcat Village Center Rd., North Port, FL 34288 – also servicing Port Charlotte, FL where you will be pampered by professional stylists with only the best products.